Wirelessly fast charge your Qi-enabled smartphone in the car with the Scosche wireless charging mount. 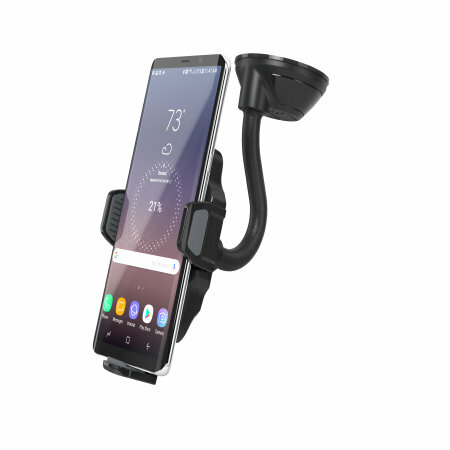 Securely mount your phone - either on your dash or windscreen - all while enjoying convenient, speedy and efficient Qi wireless charging. Overall very good. The main criticism is the suction pad is very temperamental and it took me awhile for it to stick to my dash but has stuck there since without coming off. Good quality holder, fits even the biggest phones. The arm does allow a bit of wobble, but not violent or shaking.